As the U.S economy is projected to expand, in the following years there will be a high number of new opportunities for people looking for a job. More specifically, it is estimated, from the U.S. Bureau of Labor Statistics, that between 2014 and 2024 nearly 10 million new jobs will be added to the U.S. economy. This translates to an estimated 6.5% more job opportunities in 2024 than in 2014. The sectors with the most expected growth are related to healthcare, personal care and computer and mathematics. The fact that the former sector ranks in the top of the fastest growing careers is no surprise. Data from the U.S. Census Bureau indicates that, in 2012, 39.9% of the whole U.S. population was older than 45 years old. The data mentioned above provides a clear view of a growing population which will possibly need assistance from people that are employed in the healthcare and personal care occupations. Occupations that deal with mathematics are also estimated to be in high demand. Data gathering and analysis has become a solid part of business development, since gathering and analyzing the right data can lead to the right decisions for business owners. As a result, in the upcoming years, a growing number of mathematicians, who can gather and analyze this data, will be in demand. The fact that we are living in the age of internet and digitalization, reveals the reason behind the expected growth in the computer related occupations. The majority, if not all, of the companies today own a website and new companies will probably also follow this trend. Furthermore, there is an increasing usage of smartphones and consequently smartphone applications. Thus, there will be an increasing demand in occupations which provide the mentioned above services. 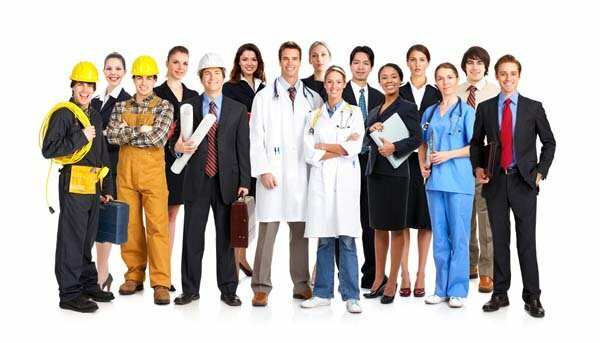 In this article, we will focus on the top fifteen fastest growing careers which require, at least, a form of college degree. The information about projected growth, expected number of new jobs and median annual wage in 2016 for each of the careers listed below is also taken from the U.S. Bureau of Labor, Statistics. Occupational therapy assistants are directly working with a patient or a group of people that have certain disabilities. This group of people might consist of kids or other people with disabilities. Under the directions of an occupational therapist, the occupational therapy assistant will help the people that struggle with disabilities to be more independent and healthier. The number of open jobs for occupational therapy assistants in 2016 counted 41900, and it is expected that 14100 more jobs will be added to this number in the following years. This translates to a projected growth of 42.7% which also reflects the estimated growth of the healthcare sector related occupations. The minimum required degree for occupational therapy assistants is a two years’ associate degree from a college. Learn more about becoming an occupational therapist. Next in our list is another job related to the healthcare sector, physical therapy assistant. 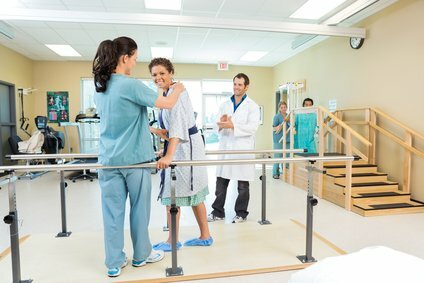 Similar to occupational therapy assistants, the physical therapy assistants help people to overcome problems in movement due to, for example, an injury or disease. This is done in coordination with physical therapists which diagnose the problem and give instructions to the therapy assistant who works directly with the patient. Patients might include athletes which had an injury, people that had an accident or people who has back pain related to sitting. The number of open jobs for physical therapy assistants in 2016 was 78700. This number is expected to grow up to approximately 110700 in 2024. The growing number of physical therapy assistants also reflect the predicted growth in the healthcare sector. The minimum required degree for physical therapy assistants is also a two years’ associate degree from a college. Another healthcare sector related career is the nurse practitioners, which is found in number 3 of our list. A nurse practitioner is a registered nurse who can prescribe medications, interpret and diagnose tests, such as blood analysis, and communicate the results to a patient. 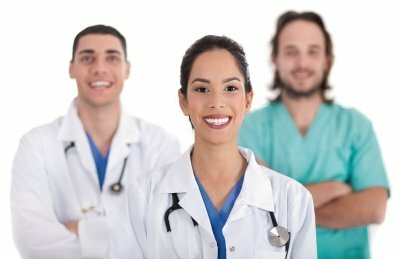 The nurse practitioners are in close collaboration with the physicians but in the same time they can practice independently by diagnosing possible problems and helping patients recover and educating them on how to live a healthy life. In 2016 a relatively high number of nurse practitioners were in demand, 126900 which is projected to rise to 171700 in 2024. Although, nurse practitioners take the third place in our list, it is evident that due to the high number of the already employed people in this function the total number of estimated new job opportunities is higher than the previous mentioned careers. To be able to register as a nurse practitioner, after obtaining a bachelor degree one needs to further gain a master specialization in nursing. You can find an accredited nursing school in your state to get started. The fourth place is also taken by a career which is part of the healthcare sector, physical therapists. As already discussed briefly in the position number two of our list, physical therapists play an important role in improving the physical wellness of a patient after an injury or after an accident. Their main objectives are to diagnose dysfunctional movements in the body of a patient and introduce a plan which will be coordinated by a physical therapist or a physical therapist assistant. The plan might include exercises, which are performed by the patient, or hands-on therapy which is done by the physical therapist or a physical therapist assistant, which will help the patient recover, or ease the pain from its physical disability. In 2016 an even higher, than nurse practitioners, number of physical therapists were in demand, 210900. The US Bureau of Labor Statistics estimates that about 71800 new jobs will be added to that number, in a total of 282700 nurse practitioner jobs in 2024, which is higher than the expected amount of open jobs in 2024 for nurse practitioners. Similar to the latter, physical therapists are expected to hold a master or doctoral degree in physical therapy. Finally! In number five there is a career which is not related to the healthcare sector, statisticians. Statisticians use mathematical tools in order to analyze and interpret gathered data. This can help in drawing crucial conclusions in, for example, business development activities. In short, statisticians are responsible to address questions or problems, find methods to gather data which will help in the solution of these questions or problems, collect the data, analyze and interpret it and finally propose solutions to the problems. Although a highly important function, the total number of open jobs in 2016, for statisticians was 30000 and this number is expected to grow into 40100 in 2024. The number is relatively small, compared to physical therapists or nurse practitioners, but the growth percentage is comparable since the projected growth is as high as 33.8%. A statistician is expected to also hold a master degree. Furthermore, it is essential that a statistician is proficient in using a computer for its data gathering and analysis tasks. Subsequently, a background in computer science can be beneficial. In the sixth place of our list we find physician assistants. Physician assistants as the name might already reveals work under the supervision of a physician. Their responsibilities might consist of examining, diagnosing and treating patients. Furthermore, they have the ability to prescribe medication, treat wounds which are not in need of a surgery and interpret medical tests. The physicians are, normally, the first contact person of a patient, especially in rural areas. It is worth noting that physician assistants focus more in interpreting medical tests, while on the other hand the previously mentioned nurses focus more in patient care. Similar to most of the healthcare related sectors, demand in physician assistants is expected to grow significantly. More specifically, the 94400 open positions in 2016 are expected to increase to 123200 in 2024. Physical assistants are expected to have a bachelor degree in a physical assistant related program and then specialize by obtaining a master degree in Physician Assistant Studies, Health Science or Medical Science. Slightly below statisticians, in numbers, we find operation research analysis’s. This career is also seeing a considerable growth, as statisticians, due to their need in business development practices. An operation research analyst is a valuable asset in today’s business world since he/she has the ability to solve complex problems and provide solutions to business related questions such as cost effectiveness of a product, production effectiveness in a production line or human resources allocation. The growth percentage as well as the expected number of new jobs for operation research analysts are almost identical to physician assistants. The projected growth is 30.2% and the expected number of new jobs in 2024 is expected to be 27600 higher than the 91300 open jobs in 2016. A bachelor degree in computer science, industrial engineering or mathematics can be beneficial in starting a career as an operation research analyst. Though, many employers might give preferences to individuals with a master or Ph.D. degree. Prices of houses are skyrocketing, the number of available liabilities is growing day by day, and subsequently people need to be more careful with their financial planning. Since, nowadays, personal finance is increasingly becoming more difficult there is a clear need of financial experts which can provide advice to individuals in personal level. A personal financial advisor, thus, is responsible to help people reach their financial goals, as well as help them in making financial decisions such as buying a house or land. Finally, they have the ability to research and propose possible investment opportunities for their clients. The increasing need for personal financial advisors is also reflected in the predictions by the U.S Bureau of Labor Statistics. More specifically the current number of 249400 available jobs in 2016 is expected to increase into 323200 in 2024. This translates to 29.6% growth, thus 73900 expected new jobs. Consequently, if we take into account only the number of expected new job opportunities, although personal financial advisors are in number eight in our list, in numbers it is the career with the most expected new jobs. In order for someone to follow a career as a personal financial advisor, it is best to acquire a bachelor degree in finance, economics or other finance related study. Most, if not all, of us have looked at a map at some point in our lives. Whether the map represents only a village, a town, a city, a country or the whole earth, it needs to be created by someone. In this case, someone refers to a cartographer. Cartographers will gather data from satellites, aerial images, or travel to a location in order to create maps which give certain information. Furthermore, they collect and examine data about population, demographics, geography of a place or data related to the flora and fauna of a location. In general, most of the information which can be found in an Atlas is carefully generated by cartographers. Although the expected growth percentage of cartographers is relatively high, the total number of projected new opportunities is not as high as other occupations in this list. Namely, in the upcoming years the number of cartographers in demand will only rise from 12300 in 2016 to 15900 in 2024. It is expected, thus, that approximately 3600 new job opportunities will be added to the current number of available jobs. Cartographers are expected to hold a two years’ associate degree from a college. Nowadays, parents have become more protective and they want to make sure that their kids have the best possible life. To ensure a healthy life for your future kid, it is wise to try and predict possible problems that the kid might have before is even born. Genetic counselors, for example, have the ability to examine the family genes and predict possible problems and how to deal with them. Genetics, of course, are not only useful for determining possible problems that might arise in a newborn but also for prediction and possible prevention of diseases which might reoccur in a family, such as cancer, blood pressure, diabetes and others. The growth in job opportunities for people that choose to follow the career of a genetic counselor is expected to be 28.8%. As with cartographers this does not translate into a high number of new opportunities, mostly due to the low number of available jobs for genetic counselors in 2016 which was 2400. Subsequently the expected add job positions for genetic counselors will be around 700. Usually a master degree with background in biology is the minimum requirement for someone to become a genetic counselor. We are living in the age of globalization. We are, almost every day, being exposed to an environment which consists of people talking a foreign language. Part of the environment might be a television, a computer, radio or just the neighbors that arrived recently from Europe talking in a language we do not understand. As the number of expatriates all over the world increases, as companies decide to go global and as countries try to talk and negotiate with people from other countries translators will be in high demand. Translators are mainly responsible for translating documents written in a foreign language to English or vice versa or translate a language directly during a meeting with attendees from international background. Translators are already a very popular career with approximately 61000 job opportunities reported in 2016. In 2024 it is estimated that this number will grow by 28.7% and touch the 78500 available opportunities. To become a translator usually a bachelor degree in a study related to languages is required. The most important requirement though, is being fluent in English and at least one more language. Depending on the languages that a translator is comfortable with, the opportunities might vary. The world population is growing. Along with the growing population cities become bigger and noisier. Furthermore, a high number of people are working in noisy industrial areas and some are exposed into conditions where dust or humidity levels are not the ideal for human beings. The balance organs of our body are located just behind the ears along with our ear drums, thus infection in the ears, or exposure into very loud noise might result in hearing or balance problems or both. An audiologist is responsible in diagnosing such problems with the use of advance technology and helping patients in recovering from them. Furthermore, audiologists are responsible in fitting and disposing hearing aids which are used frequently by older people in order to enhance their hearing ability. Yet another healthcare sector related career is found in our list in the twelfth spot. The predictions regarding the upcoming years added job opportunities for people that select to follow the career of an audiologist are more than promising. A number of 3800 jobs are expected to be added to the current 13200 available positions by 2024. An audiologist is expected to hold a doctoral degree in audiology. 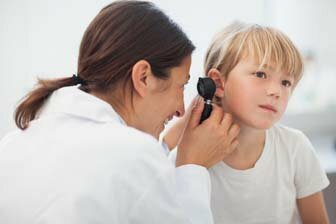 Furthermore, after acquiring their doctoral degree audiologists must be licensed in the state that they practice. A study from the U.S. Department of Health and Human Services has shown that although in general the U.S. population has good vision, approximately 14 million Americans have problems with their eyes . On top of this number, and since we referred to the age of globalization when we talked about the translators we can add many more people around the globe. An optometrist is the person that is responsible to diagnose the visual problems of an individual. Such a problem might consist of the inability to distinguish between certain colors, focusing problems and other vision related issues. After diagnosing a problem, the optometrist will define whether it can be treated by medication or corrective eyewear. In some cases, such as cataract problems, the patient needs to undergo a surgery. The number of demanded optometrists were already high in 2016 with 40600 open job opportunities. This number is expected to grow further into 51600 in 2024. Furthermore, although we did not touch this topic in detail in the previous career paths, it is worth noting that this is the first and last career path in our list with a three-figure annual wage in 2016. The three-figure annual wage though, does not come without effort, since to become an optometrist it is required to obtain a doctoral degree. When talking about the increasing demand in audiologists we referred to the growing population and that cities become bigger. Some of the cities are relatively safe but others not so much. As the latest crime statistics from FBI reveals, crime in the U.S. has shown an increase of 3.9% in violent crimes while property crimes have been reduced by 2.6%. A forensic science technician gathers and analyses physical evidence from a crime scene. There are two paths for this career. The first path is going to a crime scene, collects physical evidence, such as fingerprints, blood, hair etcetera, making sketches of the scene and observing the position of the evidence. On the other hand, forensic science technicians that work in a laboratory analyze this evidence and they try to reconstruct the crime scene based on it. Forensic science technician open opportunities in 2016 were about 14400 and this number is expected to grow up to 18200 in 2024. This is another career path with promising growth. Due to the already low number of opportunities, though, there will be a relatively low number of expected new positions in comparison to other career paths in this list. A two years’ associate degree from a college is required to become a forensic science technician and examine crime scenes. A bachelor degree in natural sciences can be beneficial though. In the following one minute, approximately 300 new websites will be launched online. Right now, you are looking at one of the millions of websites that are currently online. Internet live stats is counting the total number of websites and it gives statistics for the number of online websites per year. In a matter of 10 years, counting from 2006 to 2016 the number of online websites has been increased by 90%. These websites are built and maintained by web developers. The web developer will program the website in order to function well, make it attractive yet simple and maintain it. As we have discussed, there is an ongoing growth, thus demand, in the number of new websites. Along with this increasing number of websites, there is a need of people that can create and maintain them. Consequently, the total number of available positions for web developers is expected to increase from 148500 in 2014 to 188000 in 2024. Although web development can be self learnt, some individuals may want to gain an associate degree in web development. Web developers are the last entry in our list. In this article, we have presented a number of careers based on their growth rate. We have seen that the careers related to the healthcare sector are expected to grow considerably during the following years. Furthermore, we have seen that there is expected to be an increasing need in occupations related to mathematics and computers. Our list, serves as an indication on which careers, for people which have acquired a form of college degree, are expected to grow the most in the upcoming years. Another area to consider would be a graphic designer which will have some of the same courses and many of the schools that offer web design also offer graphic or multimedia design.